God bless the UPS man! Look what he brought me today! I have been a waiting for this puppy to arrive! 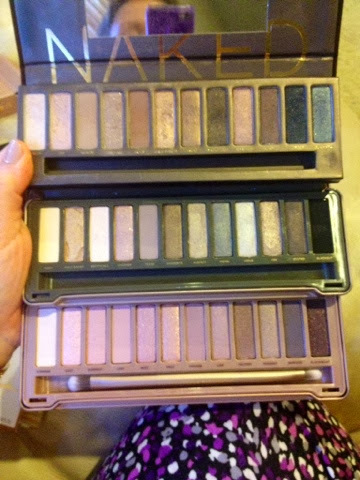 I ADORE the first two Naked palettes and couldn't wait to add to my collection. 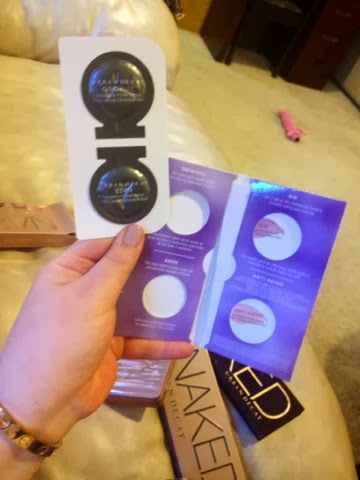 Along with the palette you get another double ended brush and 4 eyeshadow primer samples. The primer samples come in these good sized pods. 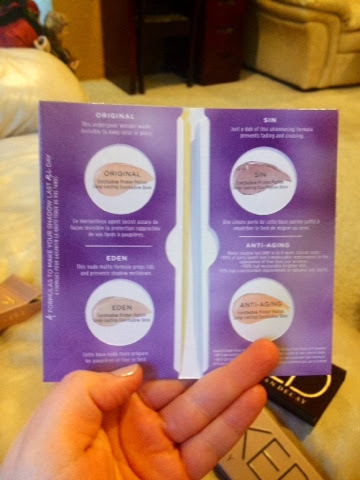 It says on the box that each pod holds about a week's worth of product. These samples are so big I think they will last longer than that. We will see. But you get the original one, Eden, Sin, and the anti-aging one. Can't wait to use these. Would be good to throw in a travel bag as well. This palette is gorg! I didn't expect anything less from UD. They have superb eyeshadows. 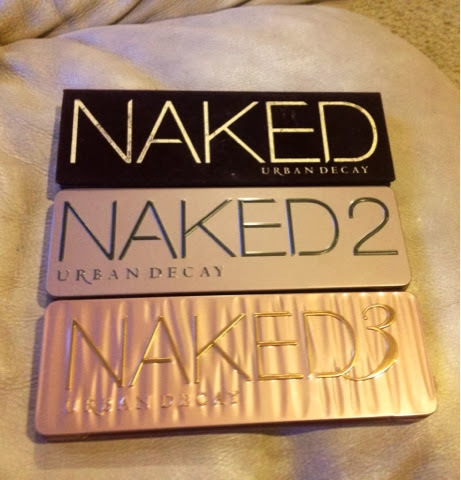 Comparison shot of all 3 palettes. 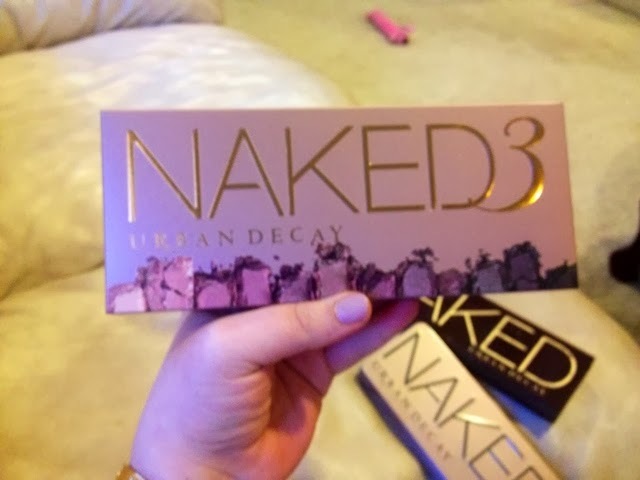 As you may know, the original Naked palette consisted of more bronze-neutrals. 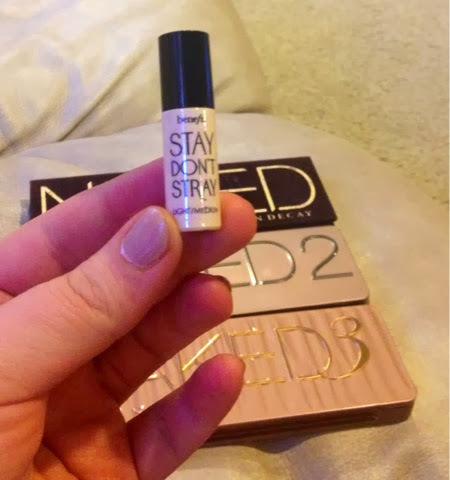 The Naked 2 had more taupe-neutrals. 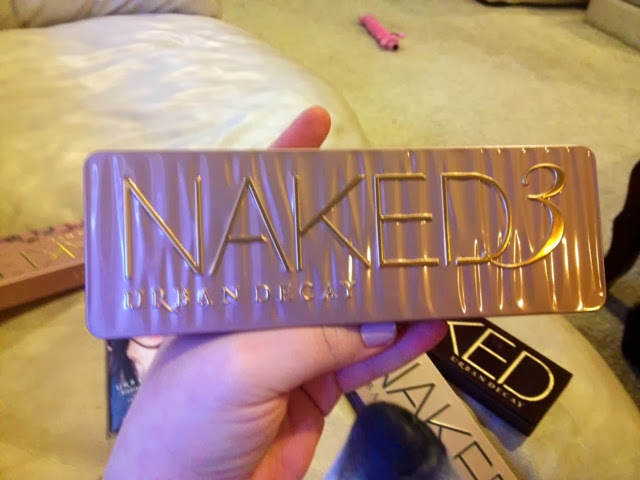 And the Naked 3 is more rose/rose-gold neutrals. 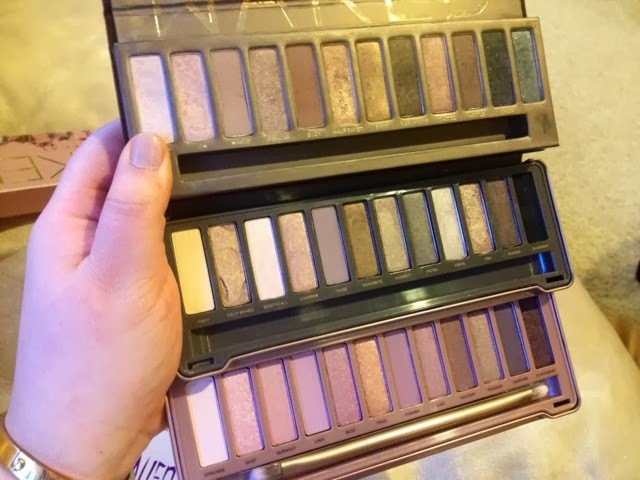 All 3 of these palettes have great light, dark, matte, frosty, and shimmery shades, as well as great neutral blending shades. UD really gives you all you need in all of these palettes to create whatever eye look you could possibly want. Their quality is unmatchable - super silky and blendable, excellent color payoff. LOVE LOVE LOVE. 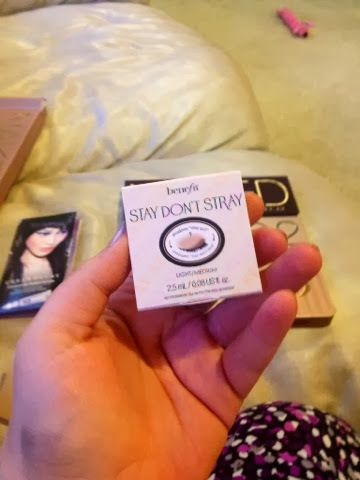 I got this deluxe size sample of Benefit's Stay Don't Stray eyeshadow and concealer primer for free with a coupon code. (I'm not sure if the code is still good or not, but I think it was 'staydstray'). Can't wait to try it. 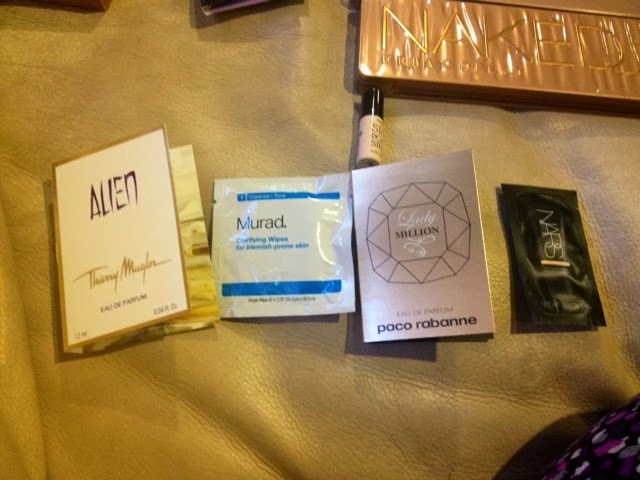 Sephora must have been in the giving spirit, they sent me 4 samples instead of 3. I'm not complaining!!! I am so happy I got all this great stuff for $35 total, I feel like that's such a steal. (I used my $20 VIB gift card with this purchase). 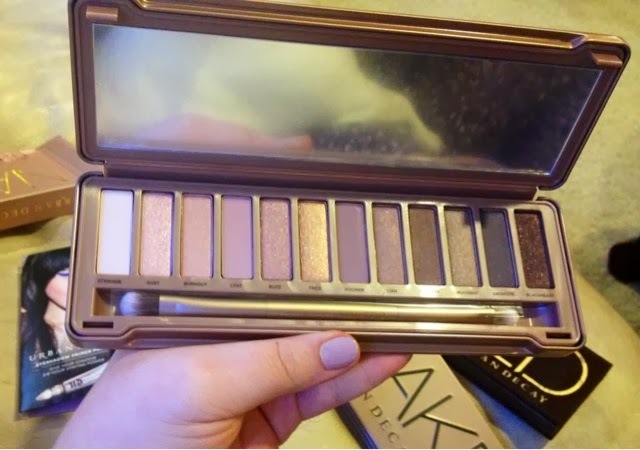 I cannot wait to try new looks with this gorgeous palette! 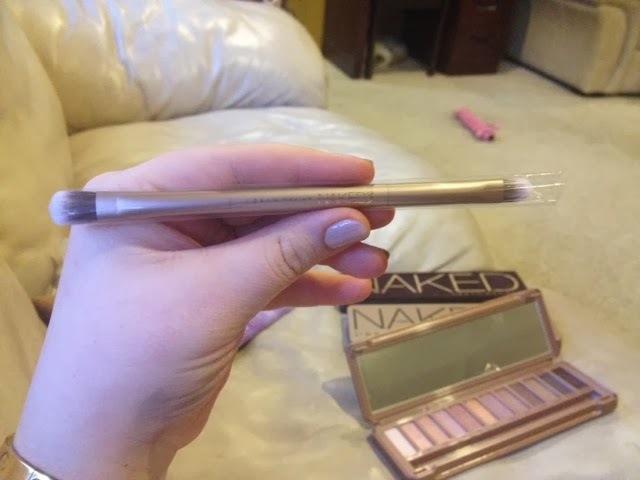 If you don't own any of the Naked palettes I highly recommend grabbing one (or all 3)!!!! Lemme know what your favorite looks are with this palette. 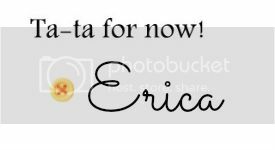 As I use it I will try to take some pics of the different looks I come up with. Thanks for stopping by! Ciao!